1. Down load the Photo Rescue soft ware from this link http://photorescue.en.softonic.com/ and save in your PC or Laptop. 2. Activate the USB Storage behaviour on the phone. For this, go to “Settings” – Wireless and Networks – USB utilities – Connect storage to PC. 3. Connect the USB cable of Phone with the PC and click Connect USB storage button in the Phone. 4. The phone will then appear as a drive on the PC desktop. 5. Open Photo Rescue and select the drive and click Quick recovery. 6. Photo Rescue will scan the phone like the Flash drive scanning. If the deleted files lost the file name, Photo Rescue will not store but it will find the data available. 7. Save the recovered files in the PC and later you can transfer them to the Phone. Photo Rescue supports many formals like JPEG, TIFF, NEF, Compressed NEF, CRW files etc. It works with Smart Media, Compact Flash, Memory Sticks, SD, MMC, XD Cards and Micro drives but also generally most other external storage devices. One issue you might experience is that the file names are jumbled and need some sorting-out. 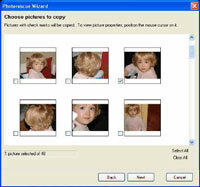 You can also perform a backup of your memory cards, test them and erase them using Photo Rescue. If your phone might be a USB Mass Storage device by default. In that case, you may use Photo Rescue to recover data from it immediately. Your phone might have, as it is the case here, a semi-hidden USB Mass Storage mode. Put that phone in that mode in order to use Photo Rescue on it. If your phone doesn’t have a USB Mass Storage mode available, it is often possible to add it by using a modified kernel or a kernel extension.